Bronx Locksmiths can take care of every residential lock needs you have. We repair, change, supply and install high quality locks to help protect your home. Bronx Locksmiths has a large inventory to suit your every commercial locksmith need. Call us now, our licensed experts are always ready to help 24/7. Bronx locksmiths are proud to offer the most advanced Auto Locksmith solutions and services for all brands and models. Locksmith Bronx is located in the Bronx in New York, close and connected to you right when you need us. There are so many reasons that you may need a locksmith’s services and Bronx Locksmith can solve all of your emergency, routine, or preventative problems and questions. Whether you are moving into a new property or you have to upgrade the locks at your home and office, whether you need some new installations or the damaged locks to be repaired, existing keys to be replicated or the replacement of lost and misplaced keys, locksmith Bronx can save the day. We offer reliable, professional locksmith marketing services that you can count on in case of emergency and utilize at your leisure to prepare for the unexpected. We specialize in residential, commercial and automobile locking solutions. You might need a complete locking solution for your home or office, you may need a new set of keys for your car, you might have to replace your garage door lock or you may have lost the keys to your Porsche, Chevy, Toyota or Honda, we can attend to all such needs. From condos to standalone homes, commercial establishments to offices in skyscrapers, we specialize in all kinds of locking solutions. All of technicians on staff are licensed and bonded so that every member of the team is trained and ready to help with all of your needs. With our experience cutting keys, creating spares, installing high security locks, programming remote control for your car and solving lock-out emergencies, we are ready for anything, anytime. Emergencies are not scheduled or planned so we dedicate ourselves at your service with 24/7 emergency response. Our services cover the Bronx and the surrounding areas and you can trust that we will quickly come to your aid and solve your problems with the utmost efficiency. We will get you back on track as soon as possible so that your lock emergency is only a little hiccup, not a catastrophe. Our prices are affordable and competitive for all of your locksmith needs and we encourage you to take advantage of our services in order to prepare for possible lock-outs, key loss, or break-ins down the road. Above all, we offer friendly, reliable service that you can trust. Our customer relationships are at the heart of our business and we are ready to help you through any lock emergency or challenge. As your locksmith Bronx, we will not just attend to temporary solutions or remedies but we also supply various kinds of locks and security apparatus as well as install them. In addition to that, we attend to repairs, replacements and rekeying. We do not recommend replacements if repairing can remedy the problem. If repairing isn’t going to suffice, only then do we advise you to replace your locks. We always bear in mind the financial investment you have to make every time you have to get some new locks or security systems. We also specialize in safes and high security locks. Today, businesses as well as residences must have high security locks. Gone are the days when you can have your possessions well protected with a random lock you would have picked up from a hardware store. You can still use such locks in rooms or premises that don’t have much to lose but wherever you have some precious possession you should have high security locks. We can supply, install, repair and replace various kinds of safes. We are a 24/7 locksmith in Bronx. We are available for emergency services. Other than scheduling a visit with immediacy, we attend to every call with urgency. At least one Bronx locksmith from our team would be at your site within minutes of your call and you would get the solutions delivered onsite. Whether you need to get out of your locked property or you want to keep your home safe and away from intruders, our professionals can help. Our locksmith services in the Bronx can help protect you and your loved ones. If you have damaged or broken locks or keys, feel free to give us a call. We’re always here for your locksmith needs. 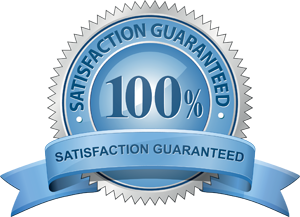 We are comprised of licensed and bonded locksmiths that you can trust. Our technicians are professionally trained to handle any kinds of lock and key issues, allowing us to stand out among the crowd effortlessly. In fact, we have been delivering quality service for some time, and that is just one of the reasons why you can trust us. It does not matter how easy or hard your key or lock problem is, we will always have the perfect solution that will meet your needs, budget, and satisfaction. With our years of experience and exceptional skills, there are no locksmith problems we can’t solve. If you require fast, friendly, and top-notch locksmith services, give us a call as soon as possible. We’ll make sure to give you the right solutions that are certain to meet all your expectations. We’re dedicated to responding quickly so requiring an urgent key replacement or dealing with a lockout at an inconvenient time will never be a serious problem anymore. We are the one you need when you are having problems with your locks and keys. We serve 24/7 so feel free to call us whenever you need our assistance. Our professionals will come fast and solve your problem in no time. We offer professional and reliable locksmith services that you can count on in case of emergency. Our services cover the Bronx and the surrounding areas. With the Bronx Locksmith you can trust we will come quickly to your aid and solve all your problems with the utmost efficiency.